PMA is a stimulant in the amphetamine class. It has rarely been used intentionally, but it’s been an adulterant in the MDMA/MDA market for decades. Due to its toxicity, which is relevant even at relatively low doses, hundreds of deaths have likely come from its use. 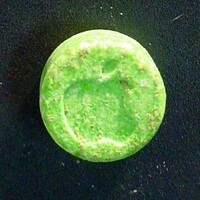 The initial effects of a common dose resemble MDMA in some ways, but higher doses don’t develop into an entactogen experience. Instead, the primary effects become agitation, confusion, tachycardia, hyperthermia, and hypertension. It exerts its effects by releasing and inhibiting the reuptake of serotonin. Additionally, it’s an MAO-A inhibitor, which contributes to the negative effects. (2016) A fatal case of paramethoxyamphetamine poisoning and its detection in hair. (2013) A review of impurity profiling and synthetic route of manufacture of methylamphetamine, 3,4-methylenedioxymethylamphetamine, amphetamine, dimethylamphetamine and p-methoxyamphetamine. (2012) Severe paramethoxymethamphetamine (PMMA) and paramethoxyamphetamine (PMA) outbreak in Israel. (2007) The effects of co-administration of 3,4-methylenedioxymethamphetamine (“ecstasy”) or para-methoxyamphetamine and moclobemide at elevated ambient temperatures on striatal 5-HT, body temperature and behavior in rats. (2007) Pharmacological and behavioral determinants of cocaine, methamphetamine, 3,4-methylenedioxymethamphetamine, and para-methoxyamphetamine-induced hyperthermia. (2005) Effects of 3,4-methylenedioxymethamphetamine and related amphetamines on autonomic and behavioral thermoregulation. (2005) Differences in the in vivo dynamics of neurotransmitter release and serotonin uptake after acute para-methoxyamphetamine and 3,4-methylenedioxymethamphetamine revealed by chronoamperometry. (2005) Effects of 3,4-methylenedioxymethamphetamine (MDMA, ‘Ecstasy’) and para-methoxyamphetamine on striatal 5-HT when co-administered with moclobemide. (2003) A fatal paramethoxymethamphetamine intoxication. (2003) Paramethoxyamphetamine (PMA) poisoning; a ‘party drug’ with lethal effects. (2003) Anise oil as para-methoxyamphetamine (PMA) precursor. (2002) Death and paramethoxyamphetamine — an evolving problem. (2001) Three cases of fatal paramethoxyamphetamine overdose. 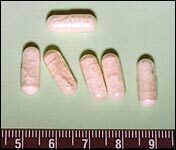 (2001) Poisoning with the recreational drug paramethoxyamphetamine (“death”). (2000) Differential behavioural and neurochemical effects of para-methoxyamphetamine and 3,4-methylenedioxymethamphetamine in the rat. (1998) Hyperpyrexia associated with fatal paramethoxyamphetamine (PMA) abuse. (1984) The stimulus properties of para-methoxyamphetamine: a nonessential serotonergic component. (1975) Comparison of cardiovascular, hyperthermic, and toxic effects of para-methoxyamphetamine (PMA) and 3, 4-methylenedioxyamphetamine (MDA). (1971) Effect of para-methoxyamphetamine on catecholamine metabolism in the mouse brain.